Your window onto local culture. 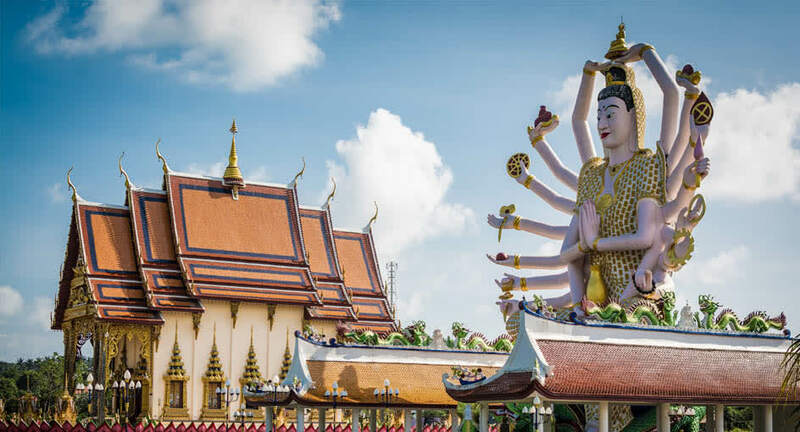 Koh Samui is an island of many religions and traditions co-existing in harmony. Officially home to 32 houses of worship, temple fairs take place regularly across the island, involve the whole community, and are welcoming to all. Engage in a fun day out for all the family and a great way to learn local customs. Make merit, then explore the mobile stalls offering a plethora of flavours and favourite street foods, while live performances and dancing take place late into the night.